The SIS GO Hydro Tablet provides fast hydration and is virtually calorie free. As an effervescent tablet that readily dissolves in plain water, it represents a highly practical approach (simply drop one tablet in your 500ml water bottle) without the calories. GO Hydro contains precise levels of sodium and other electrolytes to hydrate and replenish your minerals during intense exercise, so you can produce your very best performance. 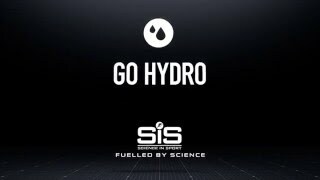 Consume 500ml (1 tablet) of SiS GO Hydro 3-4 hours prior to your event with a further 250-500ml in the hours before starting. During exercise of a shorter length where carbohydrate intake is not necessary, consume 500 ml of SiS GO Hydro per hour.